Home Inspections began as a consumer service in the early 1970's in direct response to the growing demand by home buyers to learn about the condition of a house prior to purchase. It is a unique discipline, distinct from construction, engineering, architecture, or municipal building inspection, and as such, requires its own set of professional guidelines and qualifications. 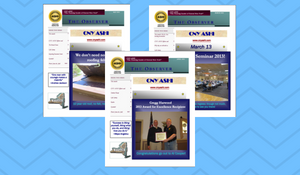 It was for this reason that the American Society of Home Inspectors (ASHI) was formed in 1976. A home inspection performed in accordance with the ASHI Standards of Practice helps buyers to make a sound purchasing decision based on accurate, objective information. In the market for a new home? Learn more about home inspections and why you should get one before you purchase a home. Looking to sell your home? Check out these Marketing tips and best practices for home sellers. 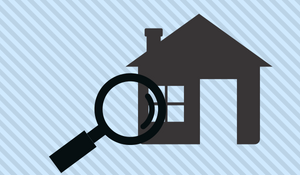 Looking for a licensed home inspector? Find one affiliated with CNYASHI. All Home Inspectors in New York State are Licensed. ​That does not mean that all home inspectors are the same! Whether you're a home buyer, seller, real estate professional or home inspector, you'll recognize the value in working with ASHI and any of our certified home inspectors across the United States and Canada. ASHI home inspectors stand out as models of professionalism and superior service. Real Training. Real Testing. Real Credentials. Real Home Inspectors.